Choose a ‘keyword rich’ domain name. 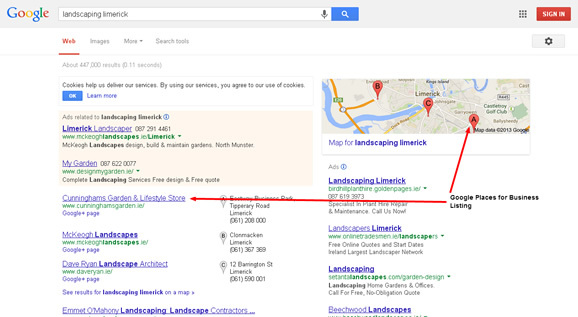 If you’re a landscape gardener, servicing clients in the Limerick City/County area, a domain name such as “landscapinglimerick.com” would be perfect. Choose an Irish web hosting company, such as Blacknight. If you’re focusing on the Irish market, it’s essential that your hosting server has an Irish geographic IP address. Build your website on the WordPress CMS platform. Very user friendly, some great integrated SEO functionality and plenty of themes & plugins available to create a professional looking site. Make sure you activate SEO friendly permalink settings in WordPress admin. I adopt the custom structure “/%postname%/” on virtually all my websites. Write optimised meta titles & descriptions for each of your pages & posts. Optimise each of your pages & posts for a specific keyword/search phrase. Include the main phrase you’re targetting in the meta title & description and also the first paragraph of your content. Don’t use the keyword too often within the content as Google may interpret this as ‘keyword-stuffing’ which could result in a penalty. Set up a blog page within your WordPress website and publish relevant, informative articles regularly. Using our landscape gardener example, you could post articles about common landscaping/gardening problems such as ‘best time to sow a lawn’ or ‘best bedding plants for cold weather’. The trick is to publish content which mirrors the information your prospective customers/clients are searching for online. 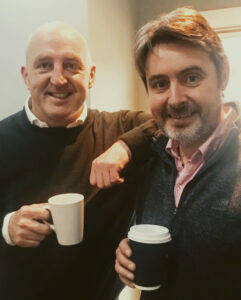 By doing this, you will gain traffic from the SEO pull of your content and, perhaps more importantly, your content has a good chance of being shared and linked to across social networks which will establish you as the ‘go to’ person in your particular industry and location. Set up a Google Places for Business listing. Online searches for services are often appended with a geographical location, e.g. ‘landscaping limerick’. If there are relatively few suppliers of these services in your area, there’s a good chance you will get a fairly high listing within Google’s geographic search results. As these appear above the organic results, this is a great way of getting near the top of Google even if your website is relatively new. Install Google Analytics tracking code to monitor your traffic and enable you to gauge where your visitors are coming from and how they are engaging with your site. Am sure these SEO Tips can easily help in getting top ranking on search engine. One must need to maintain quality of their work for making sure that his website rank on top page of search engine. All really good pieces of advice! I actually was not aware of the geographic IP thing. Do search engines like Google actually downgrade you specifically for foreign hosting, or is this just a side effect of trying to prioritize websites that are near to the person searching? I really appreciate all of your recommendations for WordPress stuff. Not that I’m associated with the company, just a fan of the platform. The fact of the matter is that it’s incredibly flexible, and so far it’s been able to handle everything I’ve needed to do with a blog. More people should take advantage of it. Hi Andrew, thanks for the comment. In relation to SEO importance of geographic IP address, various studies have shown there is a very high probability that this is something Google factors in to its ranking algorithm. How important it is in relation to other factors is a little more tricky to determine. I suppose with Google’s recent emphasis on delivering hyper targetted results depending on location, browsing history, interests etc. it’s only logical to surmise that this may well grow in importance over time. Hi William , some good points . I just wanted to ask you about tip 8 in terms of setting up a blog on your WordPress . Could you elaborate on this please ? I’m using WordPress for my website , how would I incorporate this into my website ? James – if you’re already using WordPress then it will have the blogging functionality built in. Most website themes are set up to display excerpts of blog posts on the home page. But it is possible to have a “static” home page and select an interior page to display blog posts via the WordPress admin Settings>Reading screen. Great post, Villiam! LinkWithin and Yoast are just awesome and highly recommended. We’ve used it on Social Media Revolver since forever! It was really informative, i am working on some local projects and i was looking for some Local SEO tip that can improve ranking of keywords for local searches, this blog was helped me. Thank you for sharing such great information. Excellent tips. A very helpful tips for the newbies. These things are must to do SEO. You just wrapped all the necessary check list in this post. In SEO, it is needed to provide original content in page. And Blogging also helps to drive traffic to your site. Thank you William for such a great post. Thanks for share informative info. hiii thanks for this post………….. I also am using WordPress and it has taken a long time but I am seeing results for my efforts. I do believe now that in your description Humming Bird likes you to try and include Who You Are, Where You Are, What You Do. Now I am open to correction on this if anybody knows any different. I am also trying to improve my traffic by offering a FREE Guide to visitors who visit my site. I have just uploaded the first edition. Thanks alot for the good article. SEO !!!! Learned a lot from this post, thanks for the great SEO tips to improve my projects. SEO pluingin by Yoast is really good . Slowly ranking my website. As always Content is King. To be able to combat against Panda-Penguin updates, every blogger must leverage and invest more with unique content. Hi Peter. Thanks for stopping by. There could be a number of reasons for the variation in rankings. It’s most probably the result of “search personalization” which you can read about here – https://www.blastam.com/blog/how-to-accurately-check-google-search-rankings You’ll get a more accurate ranking indicator by using a tool such as https://serpbook.com/ which allows you to choose search location (i.e. Ireland). Nice SEO tips . Hope i can improve my website with this tips. thanks for sharing….. Thanks for updating new information about seo. It helped me a lot to improve my businesses. Also share your new updated details about seo in your website. Thanks. post. I really enjoy for this status and best seo tips. Thanks for sharing. Web designing is very important and it is more than more than web designing nowadays. SEO is becoming important for survival of web designing. Tip number 10 is new to me and now I’m going to install Google Analytics tracking code definitely to monitor my web traffic. Nice tips for optimizing WordPress Site. Thank you so much for sharing. Excellent SEO tips For New Website. Very supportive tips for the newbies. These tricks are must to do SEO. In SEO, it is needed to offer original content in page. Thank you William. Excellent SEO tips For New Website. Very supportive tips for the newbies. 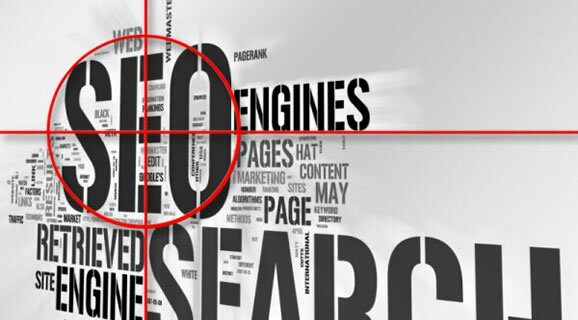 These tricks are must to do SEO. In SEO, it is needed to offer original content in page. Thank you. very nice tips >thank you sharing such a tips and informative one. Actual informative tips to new websites owners. Great sharing for us. Hi, great advice I recently made a website using the Wix template platform, My friend had told me about using a .ie hosting service so i have just purchased one. In tip 7 – Could you explain how to include your main search phrase in the meta title while also using the particular phrase for that page ? Just commented about local search on one of your other articles and see you’ve already covered it here so apologies for that (bit like preaching to the converted!). I’m quite interested in the hosting location as well as have used Blacknight for a .co.uk site, and it’s pretty hard to evaluate if there are any consequences. Google Webmaster country targetting is an option, and for .co.uk it automatically sets that as the target region. I suspect if you give the right indicators then it possibly sorts it out. Hving said that I would agree with your own view – ie, keep it local. Apart from anything else response times are probably better and page load speed seems to be in the mix. Nice tips. we will follow all for any news website SEO. Thanks guys for sharing. Valuable information. Search Engine Optimization is a very hot topic on the World Wide Web. After-all, everybody wants to rank higher and come up on the first page of Google search and get more traffic. Thanks for your comment Declan. Unfortunately, as I’ve explained before, it’s just not possible to give a ‘one-off cost’ or quote. There are so many variables to consider. Tip 8, definitely my favourite. People ussually think blogging is difficult and a lot of work. But I don’t think so. As small Slovenian SEO blogger, specially on furniture market, I am blogging daily on different projects for 4 years now. And I think one blogger has far enough time for one poste per week. Consistency is the key. Some great information related to optimising websites in your blog. this has given me a better insight into small things I should be tweaking on a regular basis. Currently, I am using a lot of these SEO techniques but your blog answers a lot of questions to the problems I encounter. Valuable information. everybody wants to rank higher and come up on the first page of Google search and get more traffic.The chances are good that your web designer hasn’t properly optimized your website for search. From the content to the page titles, your website needs to be properly optimized so search engines can better understand what your website is about and what search terms your are trying to target. Solid tips, we just need to pick up on optimised meta tags but we’ve got the others. And a blog. Great article William, always Content is the kind. I believe that in 2018 the most important factors are the mobile optimization plus speed optimization. Good read. Great Tips for SEO. Please keep sharing. Wow. Such an Informative Blog. I used all the techniques. Actually, I have a website and I applied all of these techniques and it really helpful. some of my keywords start appearing in search results of Google. Thanks For sharing useful seo tips. You share the point five is very useful for new website. WordPress plugin is important for SEO. Lot’s of benefits for install the seo plugins. Great tips!